Having to face criminal charges can be an extremely stressful time in a person's life. Especially, when dealing with the potential loss of freedom and with all the consequences of being convicted of a felony. As an experienced criminal attorney, Mr. Lopez is available to offer aggressive representation and guidance to people going through the ordeal of facing criminal charges. 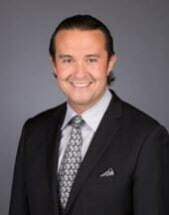 As a former assistant public defender in Broward County, Mr. Lopez has handled criminal cases ranging from Driving Under the Influence to serious felonies that are punishable by life in prison. He is an experienced trial attorney who was promoted to the Major Crimes Division during his tenure as an assistant public defender. Mr. Lopez was described as having performed in a "stellar fashion" according to his former boss the elected Broward County Public Defender Howard Finkelstein of Help me Howard (copyright) fame while an assistant public defender- Sun-Sentinel-November 16th, 2006. Mr. Lopez handles all types of criminal matters in state court. He also practices Divorce/Family Law, and is available for the expunging and sealing of criminal records. If you have been or know someone who has been charged with a crime, call now for a free, confidential consultation.